Along 40 + years as an Agronomist, I have witnessed the surge of the so called “Green Revolution” worldwide, which consists in growing agricultural produce based mainly upon chemicals that decades ago were considered to be the solution to fulfill the global demands for food, but as time went by, different unexpected issues have appeared, like loss of soil fertility due to an increase in their salinity plus depletion of the populations of soil organisms -macro and micro organisms as well, that are essential for degrading (breaking down) organic matter (which has also been depleted) and thus maintaining soil fertility; increase in erosion rates because of the ongoing tilling; soil compaction or packing as a result of using heavy machinery in the fields, like tractors and tillers; loss of diversity of the native vegetation, including useful edible, medicinal, animal foodstuffs and shelter, and ornamental plants as a result of the use of herbicides; loss of diversity and numbers of native wildlife; and even worse, increase of cancer among the agricultural workers who are in constant contact with the different chemicals they “have” to apply; and an increase in the rate of newborn babies malformations among the families who live in rural areas next to the chemically treated fields; furthermore, an increase in the rate of cancer among consumers (we all)… and so on. This is all bad news, but there is still hope, there is an alternative to that kind of agriculture that brings about the destruction of natural ecosystems: agriculture without chemical synthesis products. There are several options along this line of growing produce, like organic agriculture, permaculture, biointensive growing, natural agriculture and other variations. Here is where we go in, promoting compost, natural fertilizers, insecticides, fungicides, soil amenders, mycorrhizae, plant growth promoters… and counting. As part of our ongoing effort to contribute to shifting from chemical synthesis to non-chemical, more natural agriculture, in this site you not only will find information about such commodities, but we are including free tutorials that will guide anybody interested on this matter to home make their own compost, or other fertilizers, pesticides and the rest of commodities mentioned above. Upon mentioning that, you are most welcome to this site. Browse it and find whatever you want or need to know about this passionate subject which is organic agriculture. I was raised in western México at my father’s farm at the outskirts of a 12,000 people town (now 60,000) where I was born, so I grew up helping in different farming activities. There was no high school in town, so after finishing my 12th grade I had lo leave home to continue studying. Following my father’s and grandfather’s example, my best interest was Agronomy and I was able to enroll at the Escuela Nacional de Agricultura Chapingo (Chapingo National School of Agriculture) founded back in 1854 -the first, and best, agricultural school in Latin America -which in the mid 70’s became Chapingo Agricultural University. After graduating, there was a huge demand for agronomists in México, so I joined the Federal Government Extension Service and was sent to work in different States. As time went by, I scaled up positions in my job until I was appointed Head of Rural Development District at Aguililla (“Small Hawk”) in my native State of Michoacán. The District’s jurisdiction was over one and a half million acres (one acre is about the same size as a football field), an area where there were hardly any roads, totalling less than 30 miles of paved road, the rest was dirt roads and mule trails (which I didn’t mind because I love horse riding). It was (and still is) the most rugged and uncommunicated region of the State. As Head of District, back in the early 80’s we built nearly 300 miles of new dirt roads, besides offering other agricultural services like Extension Service, Plant Health, Animal Health, Soil Conservation, Growers Organization, Rural Planning, Forest Service, Marketing (including exporting), and so on. In the late 80’s I was forced to quit my job, together with a big number of other professionals who dissented from the new Administration. I began working on my own at the same region, administering an important sawmill and later on growing organic vegetables, including a greenhouse, and assisting cattlemen, tomato, cantaloupe and mango growers in the same area. This site is devoted to this subject as part of my effort to contribute to the struggle to lower the effects of climate change (I call it “crisis”) working locally while thinking globally. Well folks, I guess that’s a little part of me. Since I was a kid I have always been interested in helping people, and that has been an ever present consideration in my professional activities. 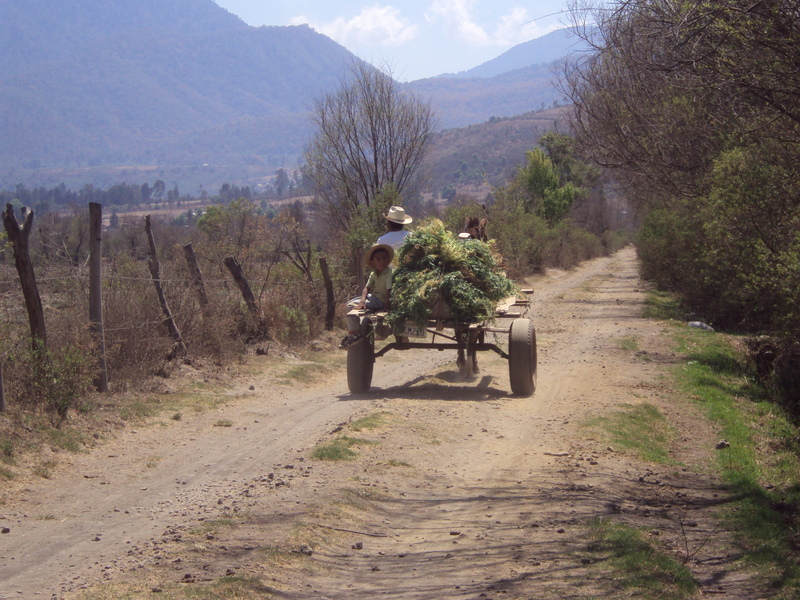 Being an agronomist in México has given me the opportunity to help people in rural areas in different ways. Now, with information technologies at hand, I’m willing to use them to broaden the amount of people I can help on a global scale. In this particular case with small scale organic growing of veggies and domestic animals. I hope I can do so in order to provide means for anybody in rural and urban areas to grow healthier, inocuos, cheaper, high quality produce to take to the table, and to share with others. We all need to eat, plus clothing and housing; we all need nature, its beauty, its resources. Everybody needs and deserves healthy, inocuos, accessible, naturally grown, poison-free food. Future generations will have similar needs and rights, and we are obliged to preserve the Planet for them the best possible way. Following those criteria, this site is aiming at something of the utmost importance to me, which is to contribute to raise consciousness about the biggest problem humanity is facing: CLIMATE CHANGE. I consider it a CLIMATE CRISIS, since climate has always been changing and always will; it changes constantly on a daily basis: it rains, sun comes up, wind speed varies, temperature changes as well, daylength changes, and so it goes on and on, it’s always been. On a more specific subject, I’m trying to facilitate the means for people to have access to healthy, inocuos, cheaper, environmentally friendly produced food; even growing their own, improving soil quality and productivity; making their own compost and nearly harmless but effective pesticides. And by doing so, help our Planet by reducing the use of dreadful pollutants.